All season tread for excellent traction. Tread design reduces road noise. S & T rated for high speed safety. Poly-steel construction for strength/durability. 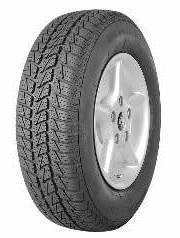 World tire produced in the USA.